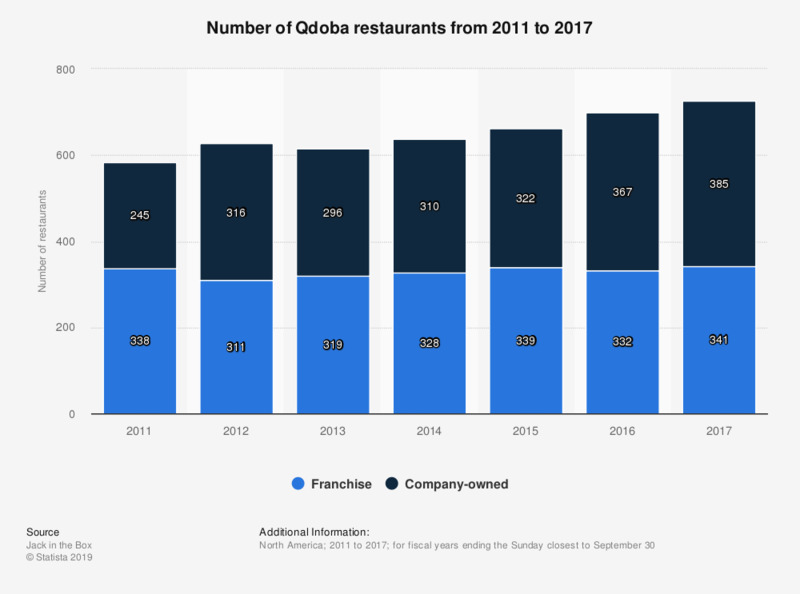 This statistic shows the number of Qdoba restaurants from 2011 to 2017. Qdoba, owned by Jack in the Box Inc., had 385 company-owned restaurants and 341 franchise restaurants in 2017. In 2017, Qdoba Mexican Eats, generated over 430 million U.S. dollars in company-owned restaurant sales.